What Is The Patient Care Technician Certificate and Why Should I Obtain It? The Patient Care Technician Certificate is a valuable tool that will enable you to advance to other certificate programs and more advanced training that will enable you to move into nursing positions or even further if you desire to go higher in the medical field. Other benefits may include a variety of job opportunities, increased pay, and more job security. The Patient Care Technician Certificate training will give you insight into whether you want to purse a higher degree in medical training before you invest 8 years or more. Even though a Patient Care Technician is considered an entry level job in the health care field, your education, training and certification not only lets you provide basic patient care, but it allows you to take vital signs, draw blood and perform Ekgs. Many other professional names like certified nursing assistants, health care assistants, home health aides, and hospital attendants fall within the same job description as a Patient Care Technician. This job description includes helping doctors and nurses with various patient tasks. These task can include help patients bathe and dressing for the day, help them brush their teeth or dentures, help them brush their hair, help with basic personal hygiene, help them get up and down out of chair and their bed, help them with eating, move patients to various locations like, treatment areas, therapy rooms, whirlpool baths, dayrooms and other rooms or porches for social events. More experienced Patient Care Technicians assist physicians during patient examinations, gather data like blood pressure and weight, draw blood, and even perform some lab testing. As a Patient Care Technician you must be able to perform an , electrocardiogram (EKG), Cardiopulmonary Resuscitation (CPR) and Phlebotomy (draw blood). To become a Patient Care Technician you will need to complete approximately 360-600 hours of classroom/clinical hours which can often be completed within 5-6 months. 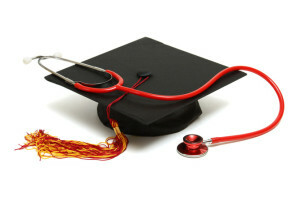 A two year program would get you an associates degree and you could become a RN. The CPT program is good for someone who doesn’t wish to make that commitment. The Patient Care Technician Certification Exam is offered by the National Health Career Association.